Nuclear power is losing its appeal. Thanks, fossil fuels. Is America Walking Away From Nuclear Power? It’s cheap, reliable, emissions-free—and struggling to keep up. Virgil C. Summer Nuclear Generating Station in Jenkinsville, South Carolina—one of a dwindling number of American nuclear plants. There’s a big, reliable, cheap source of electricity that has powered America for decades—and is now facing tough times. The economics surrounding it have changed, and so has the zeitgeist that once let it flourish. Cheap natural gas and renewables are eating into its market share. In the past few years, giant plants have been shuttered. Earlier this week, another big power company announced it would be shutting down a 685-megawatt plant in Massachusetts. And there aren’t many new projects in the pipeline to replace this closed capacity. Yes, these are tough times for nuclear power. See what I did there? The decline of coal power in the United States makes the headlines every week. But now the nuclear power industry, which accounts for about 20 percent of U.S. electricity production, is quietly suffering, too. In theory, nuclear should be thriving in the emerging environment: It produces emissions-free energy. Pumping up nuclear-power production would be a good way to meet emissions-reductions targets. But that’s not what’s happening, for several reasons. Nuclear is a comparatively young technology. But after the 1979 accident on Three Mile Island, when a reactor partially melted down, the development of new nuclear projects in the U.S. essentially ground to a halt. And so, until a few years ago, the industry was pretty static. 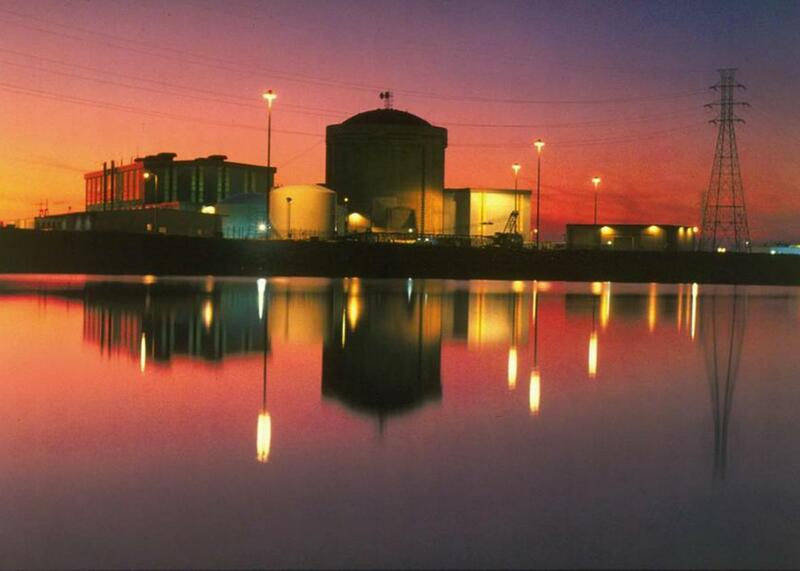 No new plant has opened since Tennessee’s Watts Bar 1 came online in 1996. And none had been closed since the Millstone plant in Connecticut retired one of its units in 2001. In 2011, according to the U.S. Energy Information Administration, there were 104 nuclear power plants in the U.S. But things began to change. In 2012, Southern California Edison shut down two units at its massive San Onofre Nuclear Generating Station; in mid-2013, it announced it would retire both of them permanently. With a combined capacity of more than 2 gigawatts, they represented about 2 percent of total U.S. nuclear generating capacity. In February 2013, Duke Power decided to close its Crystal River Nuclear Plant (Capacity: 860 MW) north of Tampa, Florida. In May 2013, Dominion shut down the 556-MW Kewaunee Power Station on the Wisconsin coast of Lake Michigan. In December 2014, Entergy shut down the Vermont Yankee Nuclear Power Station. Together, those closed plants represent about 4 percent of the nation’s nuclear fleet. There are more closings to come. Several years ago, Exelon announced it would close its Oyster Creek plant in New Jersey by 2019. And as noted above, Pilgrim Nuclear Power Station in Massachusetts is closing. What gives? Just as cheap, stranded supplies of natural gas (thanks, frackers!) are making burning coal less economically appealing, they are helping to make splitting atoms less economically appealing, too. In 2005, natural gas and nuclear were responsible for roughly the same amount of electricity: 18.8 percent and 19.2 percent, respectively. But by 2014, natural gas had surged to 27.3 percent and nuclear stood at 19.4 percent. Of course, nuclear power plants have generally been tolerated more than loved. Among all the methods of power production, nuclear has the greatest negative externalities (the challenge of waste disposal, the potential for environmental issues), not to mention an association with weapons of annihilation. And so when nuclear power plants lose their financial edge over other forms of generation, there’s not a big movement to keep them going. Second, there’s the issue of age. According to the EIA, the average nuclear power plant in the U.S. is 34 years old. The typical plant gets a license for 40 years, with potential for a 20-year renewal. In other words, much of the fleet is approaching the end of its natural lifespan. When things start to fall apart a little bit, due to normal wear and tear, or an accident, or a piece of equipment failure, power companies are taking the long view and deciding that it makes more sense to just shut the plants down rather than repair them. Why pour lots of money into a plant to extend the life of a creaky nuclear plant for 15 more years if it won’t be able to produce more cheaply than natural gas? Third, the U.S. now has more appealing emissions-free sources of electricity. For the longest time, when it came to producing electricity without emissions, nuclear and hydroelectric power had the field to themselves. But that’s changed. Wind and solar, while still small, have emerged as significant, rapidly growing, renewable, emissions-free power sources. Thanks to subsidies, they are increasingly competitive on price. And since permitting is relatively easy, utility-scale wind and solar plants can be approved and built in a matter of months. By contrast, it can take decades—and tons of money—to build a new nuclear power plant. Now, the prospect for nuclear plants isn’t as uniformly bleak as it is for coal. So far, the capacity reductions are comparatively small. And for the first time in modern memory, there is some expansion of nuclear plants on the table. The Tennessee Valley Authority is working on a plant that could enter service next year. It is one of five under construction in the United States. Two units at the Vogtle Electric Generating Plant in Georgia should be completed in four or five years, and there are two more in the works at the Virgil C. Summer Nuclear Station in South Carolina, which are running late and over budget. Their combined capacity would almost replace that of the retired plants. The best the U.S. nuclear power industry can hope for, in other words, is to maintain its current size and see its market share slowly erode. If there’s an all-out war on coal, there’s a low-grade insurgency against nuclear power.